Back again by popular demand, with a great concert for the Christmas season. 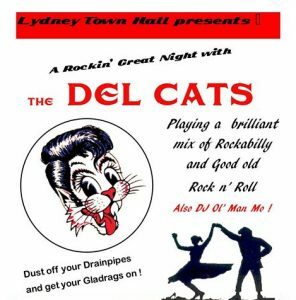 Playing their eclectic mix of Rockabilly and good old Rock’n’Roll. Get out your Drainpipes, put on your Gladrags! With DJ Ol’ Man Mo! ...and that is how Lydney Town Hall Trust would like to keep it. Thank you for helping us to do this.